My colleague Martino Pesaresi from the European Community’s Joint Research Center (JRC) recently shared one of his co-authored studies with me on the use of advanced computing to analyze UAV (aerial) imagery. 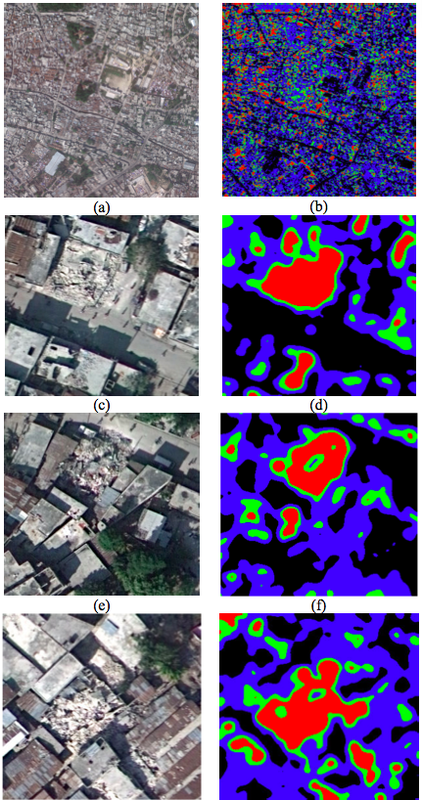 Given the rather technical nature of the title, “Rubble Detection from VHR Aerial Imagery Data Using Differential Morphological Profiles,” it is unlikely that many of my humanitarian colleagues have read the study. But the results have important implications for the development of next generation humanitarian technologies that focus on very high resolution (VHR) aerial imagery captured by UAVs. Martino and team therefore developed an “automated method for the rapid detection and quantification of rubble from very high resolution aerial imagery of urban regions.” The first step in this model is to transfer the information depicted in images to “some hierarchical representation structure for indexing and fast component retrieval.” This simply means that aerial images need to be converted into a format that will make them “readable” by a computer. One way to do this is by converting said images into Max-Trees like the one below (which I find rather poetic). The conversion of aerial images into Max Trees enables Martino and company to analyze and compare as many images as they’d like to identify which combination of nodes and branches represent rubble. 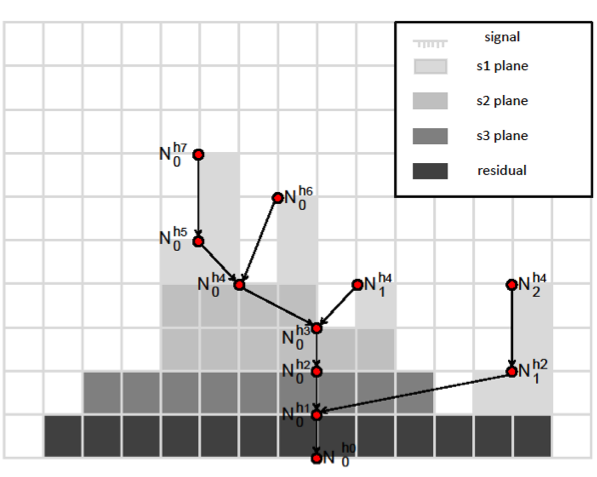 This pattern enables the team to subsequently use advanced statistical techniques to identify the rest of the rubble in the remaining aerial images, as shown below. The heat maps on the right depict the result of the analysis, with the red shapes denoting areas that have a high probability of being rubble. 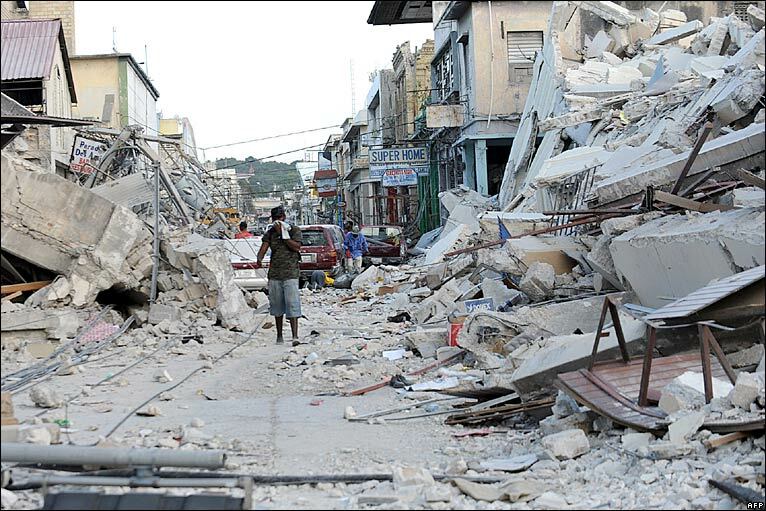 This entry was posted in Big Data, Drones/UAVs and tagged Aerial, Detector, Haiti, Imagery, Rubble. Bookmark the permalink. Aerial photography and Aerial mapping are widely used nowadays for any reasons and legal actions. One of this is for search and rescue purposes. This enables us to help those people who are in need of crisis assesment or any help that can prevent them from harm. Drones are really a great thing for aerial mapping and surveying.This efficient idea should be used for easy location and to obtain a survey in a particular basis.